Crescent Beach is at the south end of St. Augustine, where Beacher’s Lodge is quietly awaiting your arrival. There is a lot to explore and discover in St. Augustine, make sure to start at the south end of town at Beacher’s Lodge, where the beach life begins! 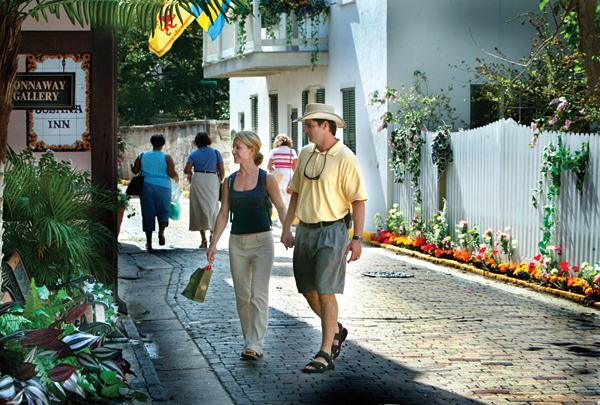 Saint Augustine, Florida has so much to offer to those visiting her shores. With a variety of events, things to do, see and experience, to visit St. Augustine is a great investment in your personal discovery. There is a great stream of history running over her past shaping all of what you can see today. The heart of our area is downtown Historic Saint Augustine. The charm of the historic district is seen in the details. Brick paved St. George Street is a little avenue of history brimming with shops, boutiques, and restaurants. Take your sweetheart to a candy shop and sample fudge. When children visit the oldest wooden school house it puts a spin on their perspective of current accommodations in the classroom. St. George Street is closed to automobile traffic, so it is wonderful to stroll down any time of the day. The architecture in our area reflects the different eras of occupation and is a fascinating tale of our fine city. Between Crescent Beach and the downtown historic area, there is plenty to see and do. We have a beautiful working lighthouse that piques the interest of lighthouse buffs everywhere. And you don’t have to be a buff to enjoy the views from atop the lighthouse, tours happen daily. Children will enjoy the Alligator Farm, which is St. Augustine’s zoological park. 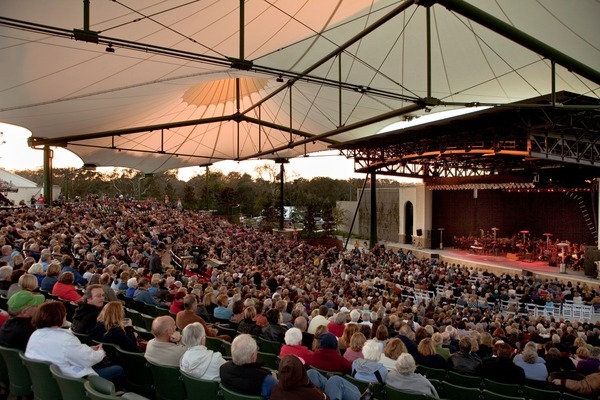 And many of our exciting events and concerts are put on by the St. Augustine Amphitheater. St. Augustine beach has the splash park pier which is where the New Year’s Eve fireworks can be enjoyed beach side. To the south of Beacher’s Lodge is Marineland, where a swim with the dolphins is a regular occurrence. 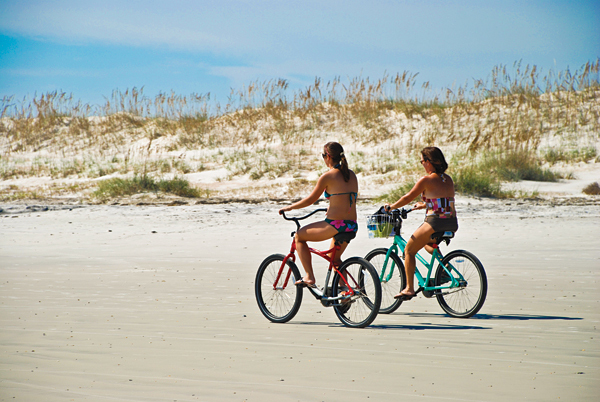 Plenty to see and do when you stay in Crescent Beach. The beaches in St. Augustine are some of the nicest in Florida. We have several different beach areas, Vilano Beach (North end of St. Augustine – Coquina Sand), Anastasia State Park, St. Augustine Beach, and our very own Crescent Beach (South end of St. Augustine – soft white sand). The soft white sand of Crescent beach is a favorite of both locals and repeat visitors. This area of our beaches is a bit more residential and offers a peaceful and serene experience. The drive from our Crescent Beach area to the downtown historic St. Augustine is only ten miles and usually takes no more than 15 minutes. Consult our visitor’s map for help. We are very fortunate to have some of the best dining opportunities here in St. Augustine. Our independent restaurant association has over a dozen members and keeps serving up delicious meals for locals and visitors. Check out the current restaurant line-up. Our staff members each have their favorite places to eat, so contact Beacher’s for recommendations and we’ll let you know where to dine in our fine city. Shopping is a favorite activity and we are lucky to have not one, but two outlet malls to satisfy our shopping cravings. The Premium and Prime Outlet malls are located near exit #318 on Interstate 95, an easy find from our hotel only 20 minutes away. The small shops in the downtown district are good for finding the perfect gift or trinket for those waiting for your return home. Everyone likes a box of taffy from our confectionaries, or perhaps a bottle of wine from St. Augustine’s San Sebastian Winery. 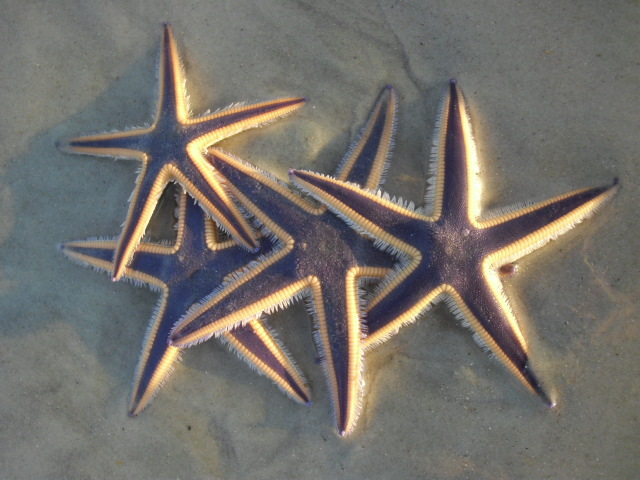 For those looking to get back to nature, St. Augustine has that covered too! From kayaking the Intracoastal Waterway to deep sea fishing charters, enjoying the joys of nature is easy when you stay in Crescent Beach. This area is quaint and quiet, allowing visitors to really enjoy the beach life. There are many parks are in the area, including Anastasia State Park, Washington Oaks, Faver Dykes, Princess Place and Ravine Gardens in Palatka. We have protected whale breeding grounds and often catch a glimpse of the whales from the balconies in the winters at Beacher’s Lodge. If you cruise the Intracoastal Waterway, you are almost guaranteed to see a dolphin splashing in and out of the water – just amazing!